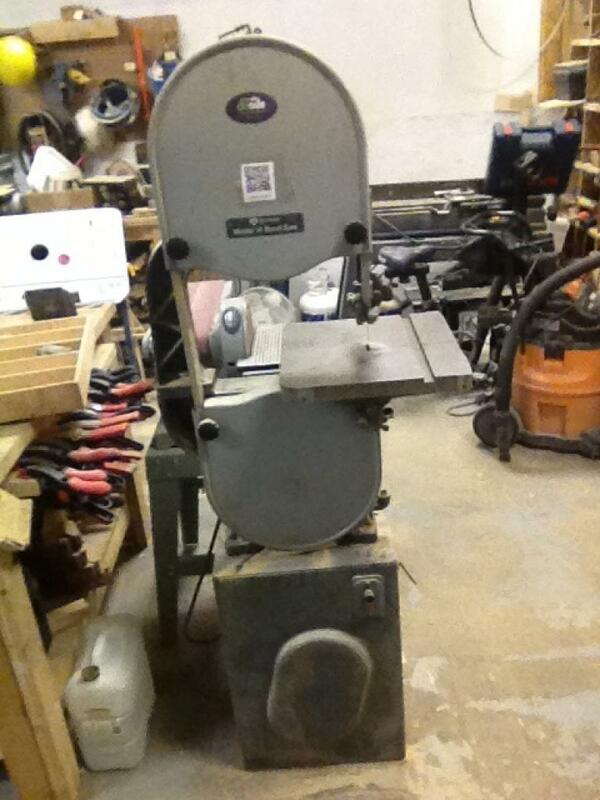 This is a Rockwell 14" wheel, 93 1/4" blade bandsaw. It is capable of high speed wood cutting and low speed metal cutting, but we use it exclusively on the high speed setting. It has a 2 speed clutch at the back that should ideally let you switch between high speed wood cutting and slow speed metal cutting. The speed clutch is tight, requiring a lot of force to properly set. This item came from Peter Clark (Simon's Dad). It was used in the brake-lining industry since new, cutting brake pads in half for testing purposes. It now belongs to Diyode. Thanks a lot for providing instructions on bandsaw. This is totally awesome. This machinery is very useful and helpful. Rest assure that this is a highly recommended machinery.